As of December 2016, our Sustainable Schools Blog has found a new home on the RE Sources for Sustainable Communities website. Please check out our new Sustainable Schools Blog for future posts at re-sources.org/blog/sustainableschools. You can still visit this blog to read stories from 2016 and earlier. We hope you enjoy browsing the new Sustainable Schools Blog. As the final racers crossed the finish line, I met with local Jr. 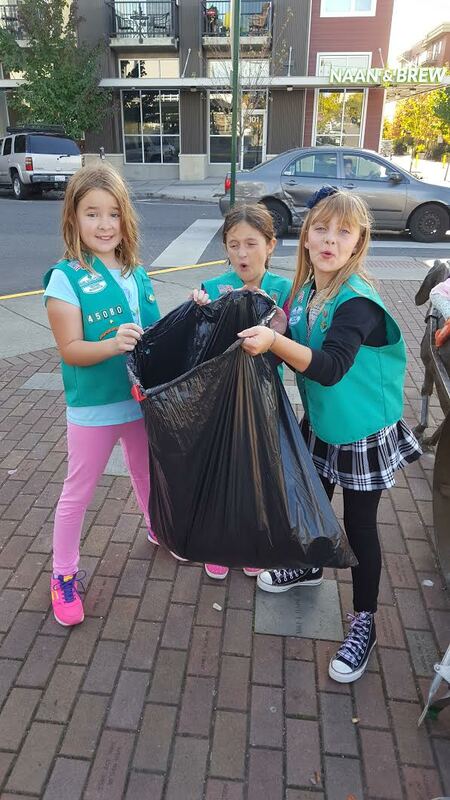 Girl Scout troop members to survey the area around the Depot Market Square. Our challenge was to clean up the litter left behind by the earlier crowd. The Jr. Girl Scouts were one of the first groups to participate in RE Sources Sustainable Schools new Waste Rangers program, a service-learning program focused on working with youth organizations to raise awareness about solid waste issues in Whatcom County and engage youth in projects to address these issues. 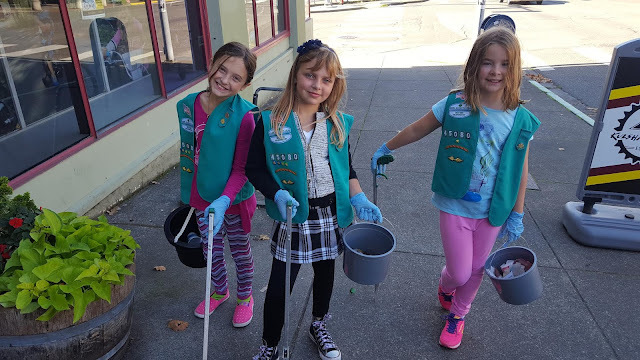 Through the litter clean-up following the marathon, the girl scouts learned about some of the issues litter causes in our community, like marine debris caused from litter washing into storm drains on rainy days, or wildlife accidentally eating the litter and getting sick. The 3 girl scouts, their parent chaperones and one 4 year old "girl scout in training" were able to collect 10 pounds of litter from the area around the finish line, even after volunteer crews did the majority of the post-race clean up. When asked what they learned and what they liked, the newly anointed Waste Rangers said they learned that a lot of garbage ends up as litter and they liked that they were able to make a difference and help their community. Even the scout in training said that her favorite thing was helping the big girls find the litter- another of Waste Rangers in the making! learned and what they liked, the newly anointed Waste Rangers said they learned that a lot of garbage ends up as litter and they liked that they were able to make a difference and help their community. Even the scout in training said that her favorite thing was helping the big girls find the litter- another of Waste Rangers in the making! Clean, bountiful water is one of the most important resources around the world. With the current world population reaching towards 7.4 billion people, our rapidly growing use of water for industry, agriculture, sanitation, and drinking has led to freshwater consumption tripling over the last 50 years. With added considerations of seasonal variability and accessibility, water is often not where we need it when we need it. With less than 1% of the world’s water accessible to humans to drink, it’s a shame that pollution has made it so 1 in 10 people lack access to safe water. 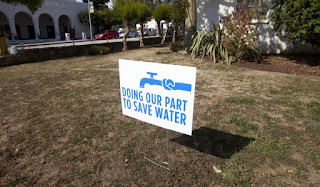 No matter where you are in the world, you can do your part to conserve water by both saving water from being wasted and protecting water from becoming polluted. First, calculate the daily water use online or on paper for you or your household. Second, follow our tips below to get started on the water-wise path to conservation. Third, join us on January 18th from 10:00 am - 12:00 pm to clean up litter at Squalicum Beach Park in honor of Martin Luther King, Jr.
Lastly, get ready to celebrate UN World Water Day on March 22nd. Every year this event focuses attention on the importance of freshwater and advocating for the sustainable management of freshwater resources - this year’s theme is “Water and Jobs”. Stay tuned for local events around Whatcom County in our upcoming newsletters. Shorten your showers. The average person uses 17.2 gallons of water during their 8.2 minute shower, totaling over 6,000 gallons of water every year. You’ll save water, energy, and time when you shorten your shower to 5 minutes or less or skip out on a couple showers a week. Don’t think you could ever skimp out on your long, hot showers? Check out this list of other actions you can take that would save just as much water as cutting out showers altogether. Don’t Senselessly Soak. With upgrades to showerhead flow, filling up the bathtub for a soak is becoming more and more frivolous. If you can’t give up a nice, long soak at the end of a rough day, fill the bathtub partially, share the bathwater, or save it for reuse when you do laundry, pamper your pets, or flush your toilet. In fact, there are a ton of ways to use grey water from sinks, bathtubs, and clothes-washers. Be frugal at the flusher and faucet. Update to a low-flow toilet if you haven’t already. Depending on how big of an upgrade you’re doing, consider investing in a composting toilet that requires no water. And your faucet? 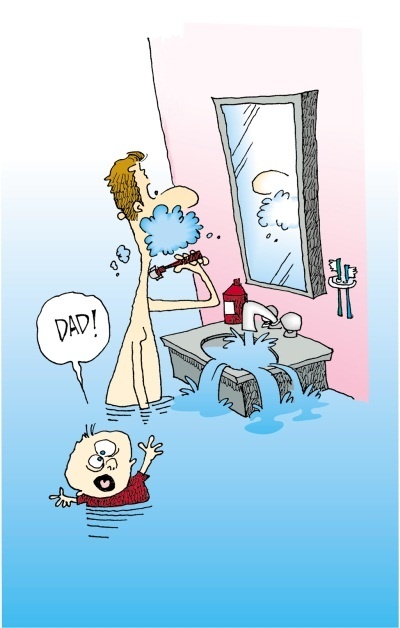 Make sure to turn off the faucet when you scrub your hands with soap and brush your teeth. Install a faucet aerator to save even more water when the faucet is running. If you live within the City of Bellingham, you can receive a free water conservation kit from the Finance Department in City Hall at 210 Lottie Street. The kits contain one low-flow showerhead, a kitchen and a bathroom faucet aerator, and toilet leak detection tablets. Do the dishes. While the jury is still out on what conserves more water – using a dishwasher or washing dishes by hand – either situation can benefit from a few simple tips to save water. First off, thoroughly scrape your dishes into the compost right after eating to lessen the need for rinsing and running the garbage disposal. Secondly, use water only when you have a full load – whether it’s going to fill the sink or dishwasher, you might as well use it to clean as many dishes as possible. Swap your food staples. Check in on what foods you are purchasing, eating, and possibly wasting. An average person “eats” over 3,000 liters of water a day – take a few minutes to find out how your favorite foods compare and make a pledge to trade out a couple of your main staples for more water-conscious alternatives. Make sure any food you do waste gets composted correctly through your own home system or through your local composting services. Use the excess. Whether you just boiled a pot of pasta or you can’t finish a glass of water, the leftover water doesn’t need to go down the drain. Use the water for plants, animals, or cleaning. Mulch, mulch, mulch. Use compost and mulch to conserve water in your yard and garden by allowing the soil to hold more water and keep it available for your plants. Purchase both from a local business or set up your own composting system to harvest it straight from the source. See our previous waste prevention blog to learn more about how you can reduce your waste output. Embrace the gold. During the summer, stop watering your lawn and allow your grass to lay dormant. In Whatcom County, from June 1st – September 15th, it is recommended to stop watering your lawn. If you must water, make sure to practice smart lawn watering – make sure you’re not overwatering or losing water to evaporation. 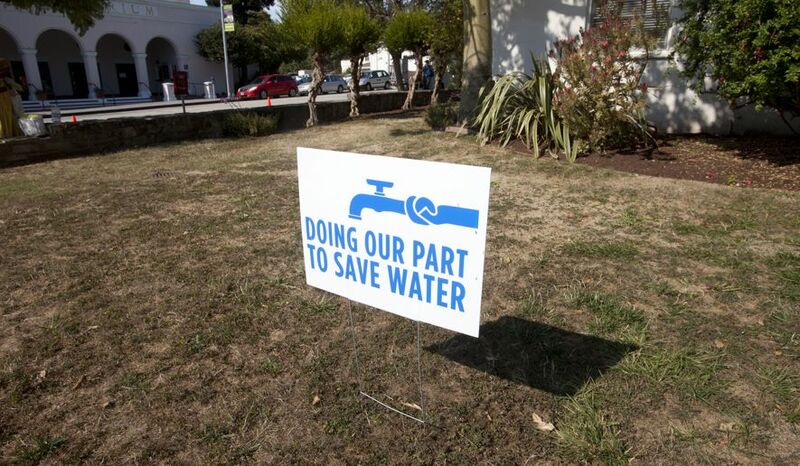 Especially within the City of Bellingham, where water demand doubles in the summer due largely in part to lawn and landscape watering, reducing the drinking water we use outdoors can have a huge savings. Nurture the Natives. If you enjoy having a green, lively landscape around your home, swap out grass and bring in a variety of native plants. You can easily cut out your lawn and replace it with native and drought-resistant plants and groundcovers. In the garden, practice water wise gardening to make every drop count. Harvest the Rain. Use landscaping techniques to passively harvest rainwater for your outdoor space or actively collect and store rainwater to reduce your reliance on tapping into our drinking water resources for your outdoor water use. If you don’t have a use for collected rainwater, install a rain garden on your property to reduce the impacts of stormwater. Use Nozzles and Cans. Rather than letting your hose run between uses, use a spray-control nozzle or watering can to get the exact amount of water you need every time with no waste. Take a hands-off approach and still save water when you use a soaker hose or install drip irrigation for your garden and flowerbeds. Fix Your Leaks. It is estimated that approximately 2.1 trillion gallons of purified drinking water is lost each year in the U.S. due to faulty infrastructure, including leaking pipes, broken water mains, and faulty meters. Check for leaks in your sinks and toilets and always remember to winterize your pipes correctly so you aren’t one of the contributors to this massive water loss. 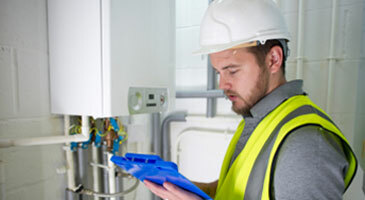 Now that all water service connections in Washington must be metered by 2017, many of you will soon have the ability to read your water meter and assess your water use. We suggest you check in with your water meter a few times a year, during different seasons, to get a rough estimate of your daily household water use, as well as check for any unseen pipe leaks. Stop Dirty Stormwater. Stormwater is rain that runs off hard surfaces (rooftops, streets, parking lots) instead of soaking into the ground. Most stormwater flows from these surfaces directly into a local stream, lake, or bay, carrying with it pollution – like oil, fertilizers, pesticides, garbage, and pet waste – without any treatment. 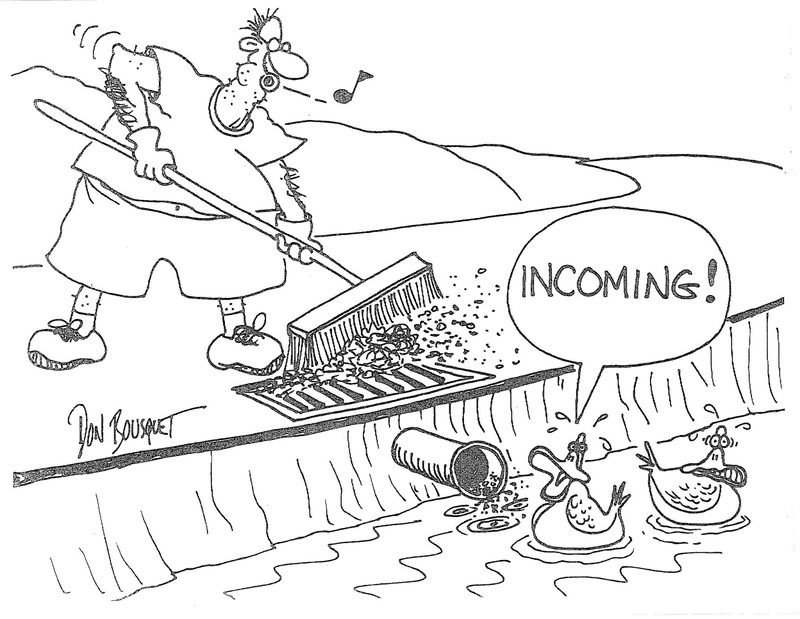 Stormwater is the leading contributor to water pollution of urban waterways in Washington. 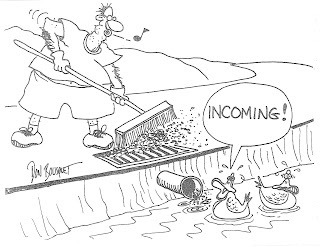 Stop your contribution to stormwater pollution by adopting a few simple behaviors. For instance, scoop the poop! Pet waste, especially from dogs, washes into our local waterways when it rains and can have negative impacts on our water quality. Do your part: pick up after your pets and throw their waste in a garbage can. Reduce, Reuse, Recycle. The 3 R’s aren’t just for waste prevention. Everyday products that we buy, use, and throw away have already used thousands of gallons of water in production. Make conscious decisions to practice the 3 R’s as you shop for everything from clothing and food, to cars and furniture. RE Sources is committed to promoting sustainable communities and protecting the health of people and ecosystems in our glorious little slice of NW Washington. Wouldn’t you like to save on your monthly utilities, feel more comfortable in your home, have longer-lasting, higher-performing appliances, and benefit your community? Over the next two years, you can. Bellingham is one of 50 cities participating in the Georgetown University Energy Prize competition. Energy used in residences, schools and city buildings will be measured in all 50 participating cities across the nation. The most efficiently performing city could win the $5 million prize. The newest updates have Bellingham in 8th place! We can't move up the ranks without your help! Help our community make it to the top in the nation by following these simple steps for your family, and spreading the word to your friends and colleagues. Before you begin, use this carbon footprint calculator to determine where you can make the biggest impact. In the EPA’s most updated report, greenhouse gas emissions from transportation accounted for around 27% of total U.S. greenhouse gas emissions, making it the second largest contributor to climate change, behind electricity. While we wait for fuel efficiency to make the leaps and bounds required to significantly reduce the current release of CO2 into our atmosphere, you can make simple choices every day to get to your destination in a low-emission or emission-free way. First off, there is no better power source for you to utilize than your own personal energy. With a healthy meal and a few stretches, it’s guaranteed to get you where you need to be. Not to mention, when you walk, skip, or ride a bike or scooter you promote good mental and physical health. Bellingham and Whatcom County have extensive trails and maps to improve your quality of life while you get around safely and emission-free. Secondly, don’t underestimate the power of the bus. 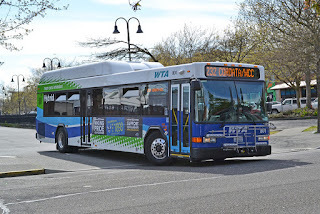 When the weather is not-so-pleasant or your destination is a ways away, the Whatcom Transit Authority has you covered. WTA provides convenient bus stops and routes throughout the county and can now help you plan your trip with their new interactive map and trip planner. Thirdly, when it makes sense, share your ride with others. Carpool to reduce your personal carbon emissions and enjoy many of the other benefits like extra gas money to spend however you want and the ability to meet new people or spend additional time with roommates, friends, or coworkers. Last but certainly not least, cruise around town efficiently. Keep your car in tip-top shape to reduce emissions and get the best gas mileage you can. Get your car checked regularly, properly inflate your tires, and use the correct grade of motor oil. Take the no-idle pledge and turn off the engine the next time you’re stopped for more than 30 seconds. Every two minutes that your car idles is equivalent to one mile of driving. Don’t forget to register for Whatcom Smart Trips and log your smart transportation choices for additional support, resources, and the chance to win prizes! Your participation also helps prioritize emissions-free funding in Washington State. 48% of the energy use in an average U.S. household is used to heat and cool our living spaces, making it the largest energy expense for most households. Most of us use natural gas or electricity, which are derived from heavily polluting fossil fuels. Practicing efficient heating habits can have significant impacts on the overall emissions you cause. 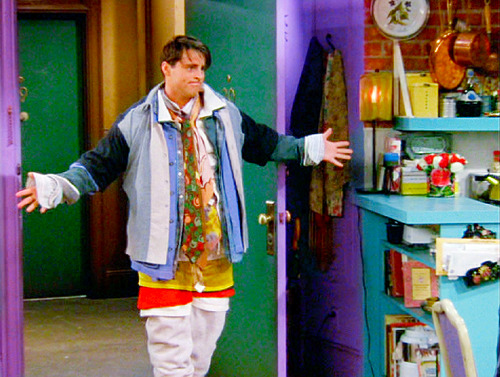 Layers, layers, layers - As if you need a reason to buy yourself a pair of fuzzy slippers or those adult-sized footy pajamas. A simple way to save energy when the colder months are here while still keeping comfortable and warm is to layer clothing inside the house as well as outside. Consider investing in a heated blanket for nighttime, they use significantly less heat than the average space heater and there’s nothing quite like crawling into a pre-warmed bed. Layers – they’re not just for you. An extra layer of the correct insulation can help you keep cool in the summer and warm in the winter. Learn about the best types of insulation for you. Keep an eye out for greener insulation such as sheep wool or recycled denim. Insulate your water heater (safely!) to stop heat from escaping and keep it set to 120°F. Consider upgrading to a tankless or on-demand system that will only use energy to heat water when it’s needed – and you’ll never take a lukewarm shower again. Read more tips on insulation and upgrades. And easiest of all: reduce your shower time by just a few minutes. Attending to the heat loss culprits. 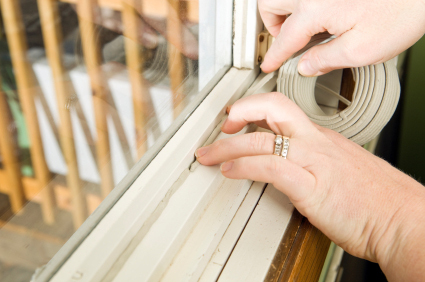 Your windows may contribute to upwards of 20% of our overall heat loss from your house. Check for air leaks regularly, apply film, weather-stripping, and fresh caulking to instantly reduce your bill and keep you at the perfect temperature year-round. Large upgrades – like swapping out your old metal framed or single-paned to more insulated windows – will give you even larger long-term reductions on your energy bill. Read more tips on preventing air leaks in your home. Upgrade your technology. Switch to a programmable thermostat and reduce your energy bill 10% each year. Set your thermostat to reduce use when you sleep or are away from the house but have it reach your optimum temperature by the time you wake up each morning and arrive home each evening. Appliances used throughout your home account for around 13% of your household energy costs (the dryer and refrigerator are the largest consumers). While many appliances are needed on a daily basis, there are a few easy ways to make sure you’re daily use is the most efficient it can be. Stop needless energy-sucking. Many electronics continue to use power, even when they’re off or in standby mode. These electronics can add up to more than $200 in yearly energy costs for the average home. Increase the use of your prime outlet locations, like those behind gaming systems and near kitchen appliances, and reduce energy use by adding in a powerstrip, which stops the supply of power to electronics plugged into it. PSE now has a special offer for their customers – get an activity monitor powerstrip (a $70 powerstrip) for only $10. There’s actually 5 different types of powerstrips to fit whatever needs you have… who knew? Receive your EPA stamp of approval with EnergyStar. From pool pumps and ceiling fans to furnaces and dishwashers, EnergyStar efficient products will give you long-term energy savings. Make sure to check with PSE or your energy provider for any rebate programs before you go through with an upgrade. Clean up your laundering habits. Save energy by washing your laundry in cold water (just make sure to buy soaps and detergents that work just as effectively with cold water). And did you know that clothes dryers account for more than a third of energy used by appliances in your home? 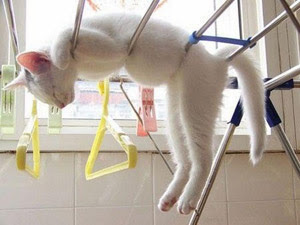 Save energy and reduce wear and tear on your clothing by drying your clothing on an in-home rack. When you do use the dryer, don’t forget to clean your lint screen after every load to ensure optimum airflow. Turn it off. 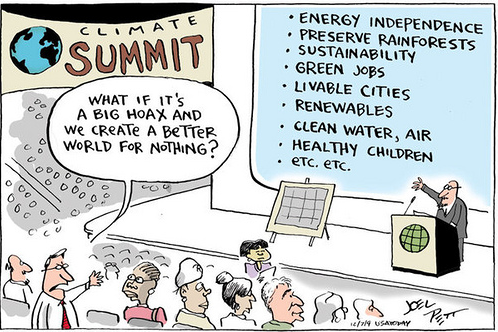 No – really. Lighting, especially around this time of the year, is an important aspect of our daily lives – and also uses a lot of energy. Turn off the lights when you leave a room and double check lights as you leave your house. When you can, use small lamps rather than lighting an entire room or keep windows and shades open to let in natural light. Bulbs matter. Replace incandescent bulbs as they go out with LEDs or CFL lightbulbs. Check out this quick guide that compares light bulb types. Have you heard about HomePrint for PSE customers? Receive a free evaluation of your homes energy usage and free energy-efficient fixtures like lightbulbs and showerheads. Don’t forget to safely recycle CFL lightbulbs and fluorescent tubes – Visit lightrecycle.org to find your closest collection site. Make even bigger improvements and install timers, dimmers, or sensors for lights in bathrooms, garages, and front porches. Get your screen time without the guilt. TV, game consoles, phones, tablets, and computers are used and charged all day, every day. Try unplugging for a designated hour a day or day a week to enjoy energy-free activities. Go for a walk, play a sport, or enjoy board and card games. When you are using entertainment systems and electronics, unplug electronics and chargers when they’re not in use. Like appliances, many electronics continue to draw power even after they’re shut off. You can find energy saving computers as well as TV’s that will use a fraction of the energy an older model would use. We applaud you for every step you take toward a more sustainable lifestyle. What will you start doing today? Share your successes with us. If 100 people follow the actions you’ve taken, together we can make a bigger impact than you think. Check back in with the waste prevention blog to track your progress, and stay tuned for the next blog in our sustainability series: water conservation. The Energy Saver Guide is a comprehensive booklet geared at helping every homeowner make smart choices to save money and energy every day. Energy.gov is filled with fact and tip sheets, energy use and distribution maps, and more information about all of the above topics. Contact PSE and opt in to pay for partial or 100% offsets of your power with Green Power. Customers receive a free energy saving packet from Cascade Natural Gas. You can now plan and build your very own zero net energy homes built. Find a builder in your region at Zero Homes. For more information, please contact us at schools@re-sources.org. Feel like your trash is constantly overflowing? Try these tips to scale down your waste and limit your trips to the trash can in the pouring rain. Preventing waste from entering landfills starts with making conscious decisions as consumers. Thinking about what you purchase and how you deal with the leftover waste is the first step in identifying what changes you can make to embrace a more sustainable lifestyle. Step one, think before you buy. As you shop, ask yourself: Do I really need this item or do I just want it? Is this item disposable? Is there a reusable or more durable option I could choose? Can I borrow this item or find it at a second-hand store instead? Does this item have a lot of packaging waste? Can I instead buy it in bulk or find an alternative with less/recyclable packaging? Step two, pause before you toss. As you head to the trash bin, ask yourself: Can I reuse or repurpose this item in some way? Is all or part of this item allowed in my curbside recycling? Is there an agency nearby that accepts this item to be recycled, repurposed, or donated? Shop smart. Integrate meal planning into your weekly routine and only buy what you need. Don't forget to plan time to eat leftovers! Limit spoilage by designating one or two days a week for quick grocery trips to buy perishable items when you're ready to eat them. Measure out ingredients from the bulk section will allow you to get exactly the amount you need (bonus points for using your own reusable container!). Store perishables correctly (with this easy A-Z guide) so they last the longest. Your meal planning should include having weekly leftover meals, to use up the bits and pieces you have left from the week. If you have time, learn how to can, pickle, or ferment to quickly and easily store fruits and veggies you can't use right away. Compost, and turn your organic waste into nutrients for building healthy, productive soil. Vermicomposting (having your own worm bin) is a great option for your deck or porch, and it's a fun chore for the kids. Composting systems and passive compost piles are great if you have yard space and regularly toss more than a couple pounds of organic waste each week. If you aren’t interested in maintaining a compost system or don’t need the finished product, both Nooksack Valley Disposal and Recycling and Sanitary Services Company provide yard waste and food scrap collection services at your home. You may also haul your own yard waste and food scraps to our local composting company, Green Earth Technology, which is open year-round. The 50s are over, and disposable is no longer the cool thing. Cutting disposable items from your life is one of the easiest pledges you can make to reduce landfill-bound waste. Just keep your reusable items in a ready-to-go shopping bag or in the trunk of your car. Swap out everyday items with their reusable counterparts. Start simple: switch to reusable water bottles and coffee cups (and help reduce the 38 billion water bottles in landfills each year), and keep reusable grocery bags with you (halting the 1,500 plastic bags your family brings home each year). Start bringing your own to-go containers when you go out to eat so you don’t get stuck with the eternally wasteful Styrofoam box. Reusable coffee filters, straws and utensils can go a long way in reducing waste, especially when you consider that the United States uses an estimated 500 million disposable straws a day. Try to pack a waste-free lunch using reusable lunch boxes, local food, reusable utensils and beverage containers. Using cloth diapers and wipes for the little ones (who on average will use 8,000 diapers by the time they’re potty-trained), will drastically reduce your year's landfill contributions. Buy and donate your used items locally, and reduce packaging, transportation pollution, energy and water use. And, you get to support local businesses, farmers, and community members who rely on your patronage for a healthy local economy. Focus on consuming seasonally and locally. Make it easy on yourself by shopping at your local farmers market. Picking your own food is always an option - spend a day with the family at one of the many u-pick farms around Whatcom and Skagit Counties. And don’t forget, if you’re looking for a night out, eat and shop where local goods are featured using the Whatcom Food & Farm Finder. Shop and donate to second-hand stores. 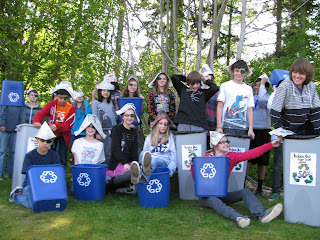 Check out Whatcom Recycles! list of where you can recycle or donate. Our own program, The RE Store, is the go-to place for reclaimed building materials and vintage décor (or we'll come to you for pick up), while large appliances can be put to use by the Appliance Depot (both organizations also run amazing job training programs to provide employable skills to residents). Donate unwanted books to our local public library or most local thrift stores. Bicycles can be donated via the Recycle your Cycle program at SSC, which are in turn donated to The Hub Community Bike Shop to be rebuilt and reused. Your regional drop of for household hazardous waste can be found through Disposal of Toxics. Fabric, Yarn, and Sewing Supplies will be creatively reused by Ragfinery. Know it can’t be salvaged? Check in with your nearest disposal company - SSC, RDS, or NVD – for pickup and drop-off services. Make sure any HHW you have in your home and garage is stored properly. Always handle HHW with care. Before you purchase HHW, read the labels thoroughly and understand what the cautionary labels mean, and follow the instructions for careful use. Follow proper disposal procedures. Whatcom County Solid Waste Department has information regarding proper disposal of household hazardous waste or you can contact the Disposal of Toxics Facility at 360-380-4640 to learn about their HHW recycling locations. The simplest way to deal with HHW is to avoid them altogether. Start by transitioning away from hazardous products as you finish them off and switching to all-natural and/or environmentally-friendly cleaners and paints. If you feel up to the challenge, start making your own using just a handful of common household ingredients – you’ll be amazed at what hot water, vinegar, and baking soda can do. Inspire others with things you've found helpful and successful in reducing your household waste and impact on our environment. Send your success stories to schools@re-sources.org. If you’re familiar with our organization, you know that we take waste prevention seriously – whether we’re salvaging construction waste, leading beach clean-ups, or educating students across Whatcom County – we’re devoted to reducing the waste that leaves our homes, overflows landfills, and contaminates the environment. Students around Whatcom County have been taking our Green Classroom Pledge to change one habit in their daily classroom routine to reduce the waste they send to landfills. Join them and the Sustainable Schools team by committing to follow one (or more!) of the following tips. Have questions or want to share your favorite tip? Contact us at schools@re-sources.org. 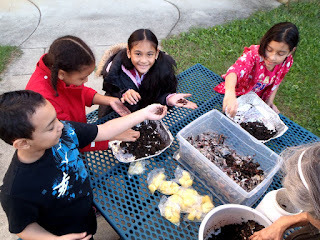 It was quite a squirmy morning for all the Kendall 1st graders last week when we helped them complete their Green Classroom Action Project - building a worm compost bin. 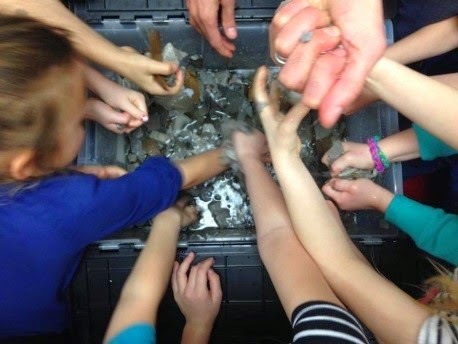 With the help of our friends Beth and Amberose from Washington State University - Whatcom County Extension, the students received a hands-on introduction to their newest classroom residents, a pound of red wigglers. The red wigglers added to the compost bin will be in charge of breaking down food scraps left from the 1st grader's snacks and lunches. 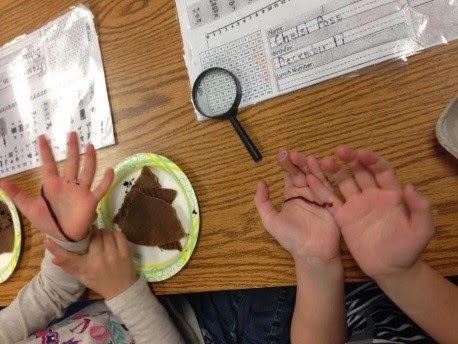 An important part of the lesson from Beth and Amberose was learning what the worms like to eat - things like paper, pretzels, fruits, and vegetables - an what can make them sick - products that contain meat or dairy and, of course, any non-organic items like plastic or metal. Before the worms were added to their new compost container, the students were able to personally welcome each new wiggler and observe them up close at every life stage. Most students observed that their new friends would much rather be tucked in dark, moist bedding than squirming around on their dry hands in the fluorescent light. 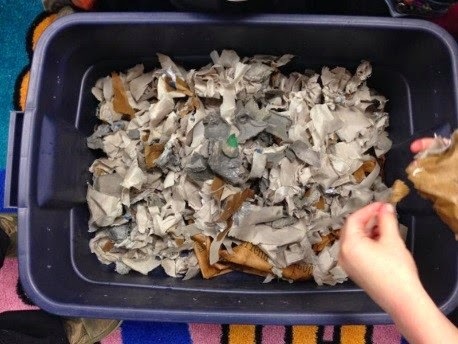 "Bedding" for the worms was created by soaking newspaper, paper bags, and egg cartons in water overnight. The 1st graders helped squeeze out the excess moisture and fluff the bedding in the new compost container. At the end of the school year, the worms and the nutrient-rich soil they created will be added to the school garden and the compost bin will be ready to begin anew this Fall. 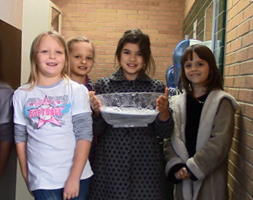 Interested in creating a worm bin for your classroom? Contact us today to get started. Click here to learn more about creating a personal worm compost bin. 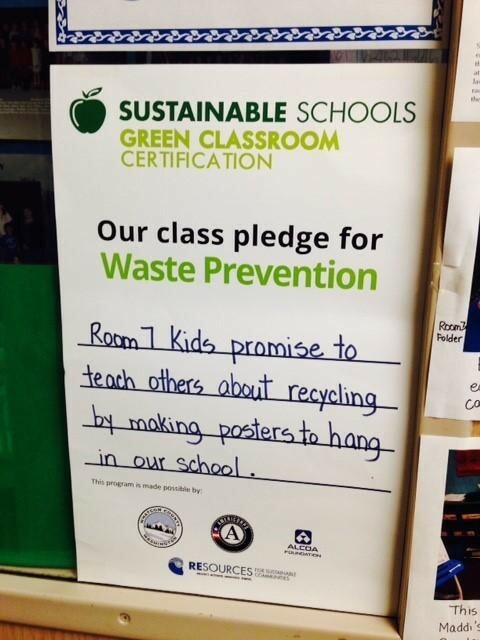 Want your children or students to participate in a Green Classroom action project? Schedule a brief info session for your next staff, PTA, or teacher meeting to gain a better understanding of how you, your students, and your school community can take the next step in greener education. Contact us at schools@re-sources.org or call (360) 733-8307 to set up a presentation today. 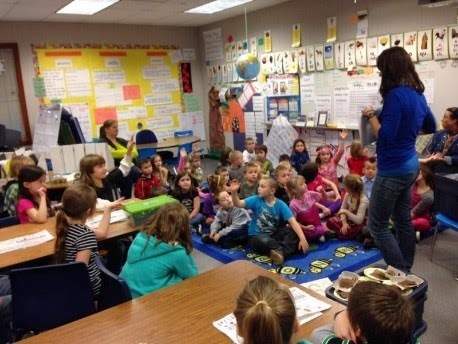 Green Classroom Certification is a program to help teachers integrate conservation education into curriculum and initiate positive action in the classroom. More at re-sources.org.